From the early 1970s feminist ideas spread quickly among well-educated younger women in New Zealand. Although many of these ideas were inspired by overseas examples, local thinking emerged. 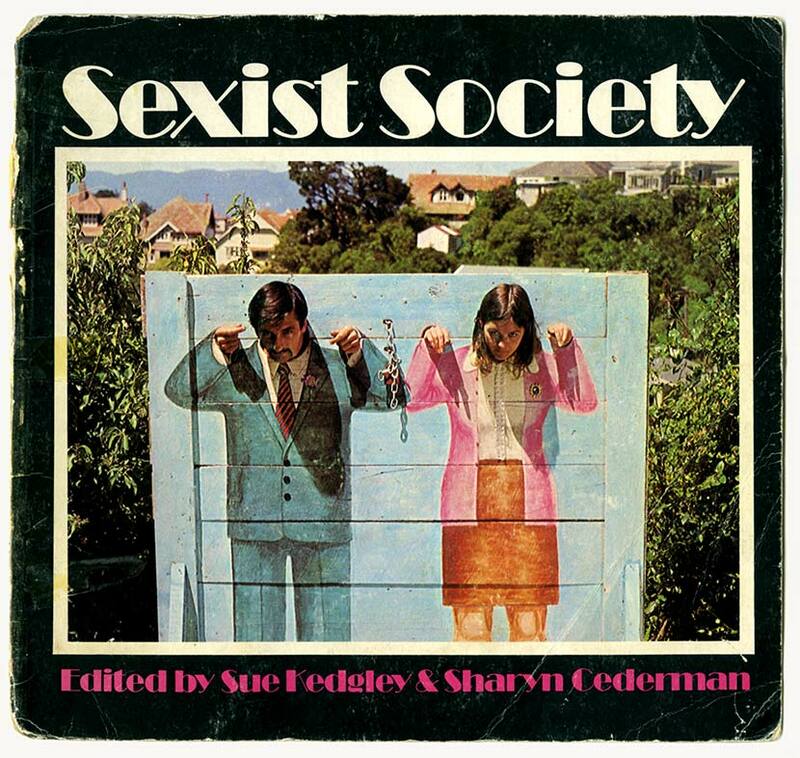 A good example was Sue Kedgley and Sharon Cederman's book Sexist society, which was published in 1972. The cover image suggested that New Zealanders were imprisoned by stereotypes which condemned them to a restricted life in the suburbs. A novel feature of the book was its view, also expressed in the cover, that men as well as women suffered from gender stereotyping.